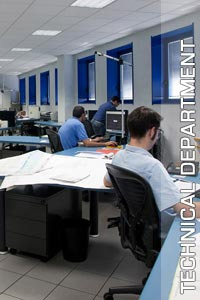 The Technical Department is an integral part of the production process. 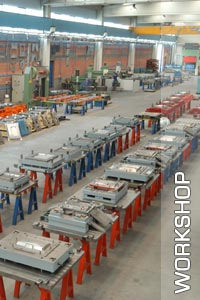 Our commitment to precision is present at every single phase of the production process; from the design phase, performed using the most up-to-date software; to the choice of superior quality materials, completed with ideal thermal treatments; accurate manufacturing processes carried out on technologically advanced CNC machinery; and the final assembly and testing phases, all of which are performed with maximum care and precision by our qualified staff. 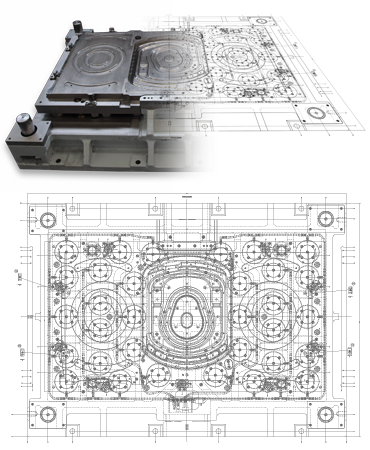 The DIES technical department is equipped with specialised 2D-3D CAD-CAM programming software for creating projections and designs for tools and equipment, as well as production process interfacing programs. 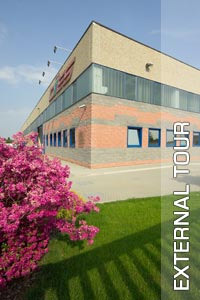 A virtual tour of our company.